First Light products are the best and simplest solution for lighting outdoor spaces. Solar powered lights eliminate the need for electrical wires making installation much easier and more cost effective. With sophisticated technology that automatically adapts to the surroundings of the fixture, we can ensure optimal light performance all night, every night. When it comes to solar lighting, success lies in the details. That’s why we’ve created smart, robust and reliable products that look just like ordinary commercial-grade light fixtures. First Light products are made from the most robust materials to endure the most extreme of conditions. Inside our lights is tested technology that automatically adapts to variations in conditions to optimize nighttime light performance. We’ve engineered our lights to be the simplest outdoor lighting solution to install. Not only do they not require a connection to the electrical grid or trenching for wires (about $25 per foot minimum), they do not need to be custom designed for site conditions like other solar lighting solutions. Avoid ongoing electricity bills and lower your install costs by as much as 50% by eliminating the need to trench for electrical wires, create a connection to the grid and site remediation. 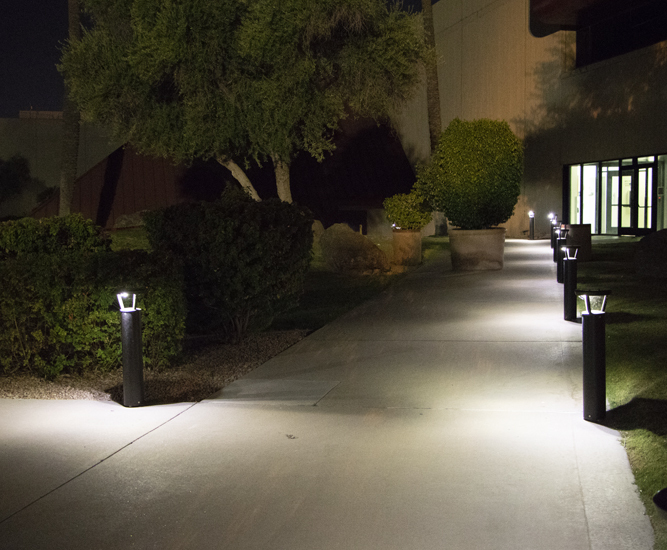 Enhance both the real and perceived security of your outdoor spaces with cost-effective, reliable light. 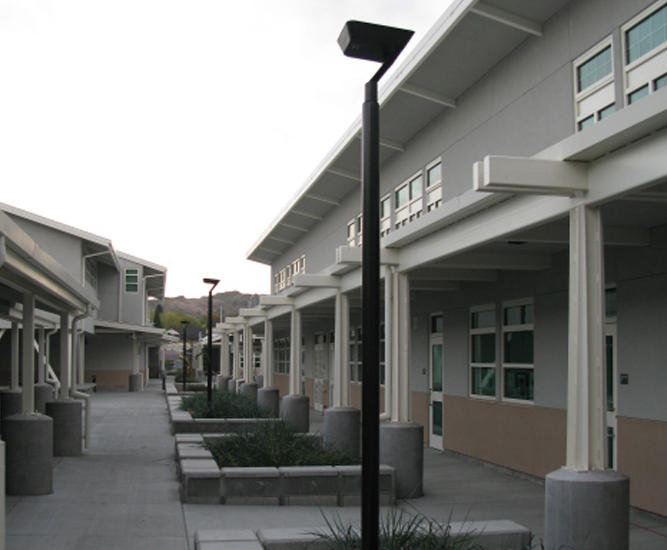 Studies have shown that improving the lighting of outdoor areas can reduce the prevalence of crime by up to 39%. Decrease your reliance on power from the grid which often contributes to greenhouse gases emissions. Not only do you avoid ongoing emissions by going solar, most components of our lights are recyclable at the end of their usable life. 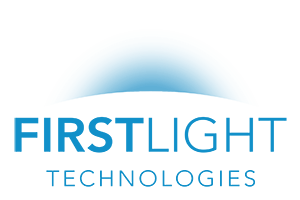 In addition to ensuring the highest standards in construction and material components, First Light products are designed to keep working with minimal maintenance. High-performance lithium batteries have a lifespan of 8 – 10 years and are easy to replace when the time comes. These Outdoor Spaces Are Lit! 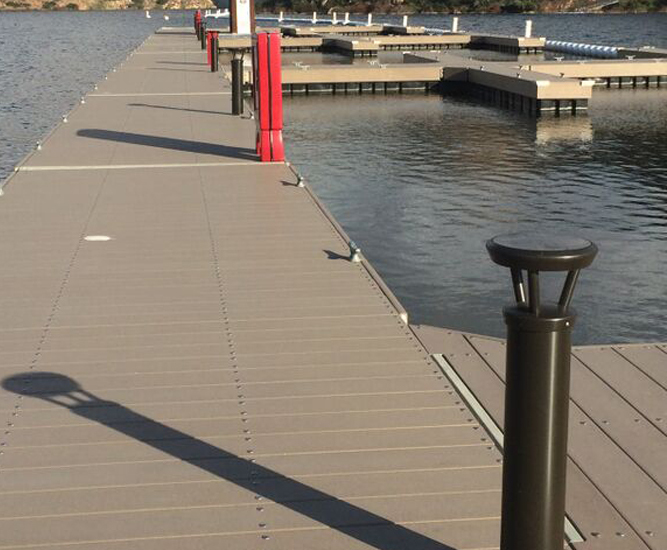 This cool water park found a robust lighting solution with our solar bollards. 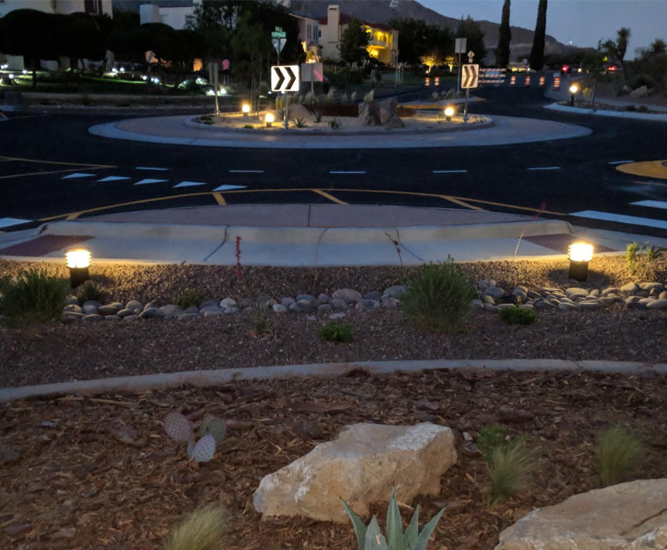 Military academy in Colorado illuminates traffic circle with WLB bollards. University campus decided to harness their access to ample sunlight.